I love wreaths. Especially when I've made it myself. 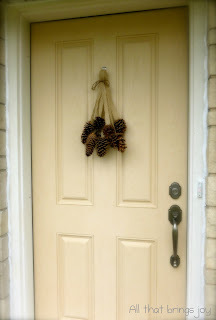 After adorning the front of my house with three burlap wreaths the other week I put my Christmas berry wreath up on the door. All of the sudden my house looked like it was covered in circles. Is was definitely off. Then I remembered a picture I had pinned on Pinterest some time ago. It looks much better and breaks up the other three circles hanging on the house. I thought I'd change mine up even more and add a nice jingle to my door with the bells. But after trying it out they just didn't look right or lay right on the door. Oh well! I glued the burlap onto the top of each pinecone and laid them out on the floor. 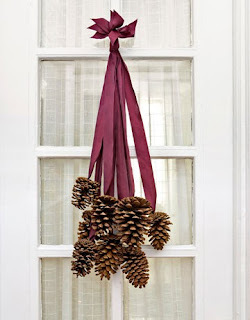 Once I had a nice bushel of pinecones going I took them to the door to see if I should use more or less. 11 ended up being the perfect amount. 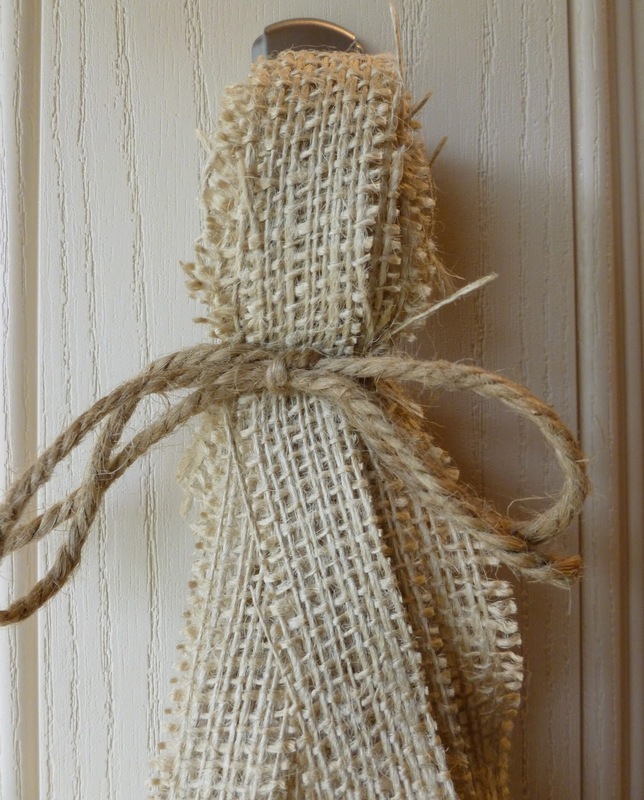 I laid the burlap strips on top of each other nicely in a pile then took it to the door and cut them to about the length I wanted. I had a Command hook already on my door that I wanted to reuse so I folded over the burlap strips and just pushed the hook into the gaps in the burlap. 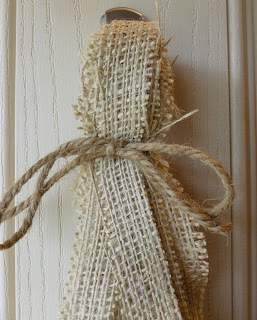 Then I tied some twine around it into a bow! You'll have to excuse the color of the door. 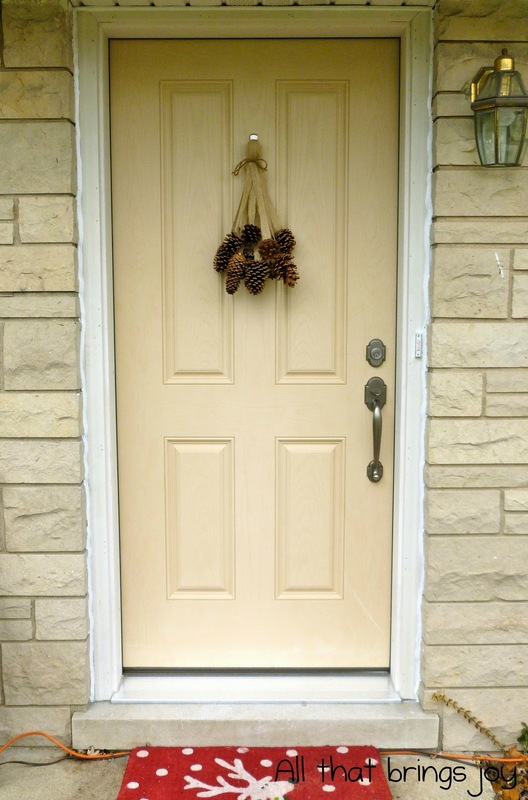 It's actually just primed, we had a new door installed a few weeks ago and we ordered it unfinished to save some cash. Unfortunately it won't be warm enough to paint it until next spring :( But I'm just SUPER happy to have that old green monster from 1950 finally gone. We had no choice but to buy a new one when it stopped closing/locking!! Can you say safety hazard?! Here it is with some more afters for you! 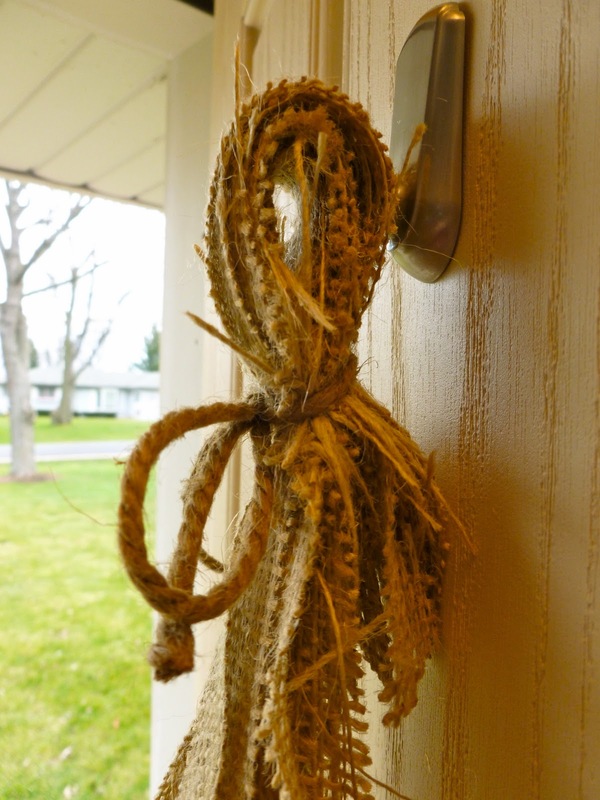 Doing the exact same thing for my daughter's rustic barn wedding on the 30th! So glad to see how it will look as I've not started doing them yet :) The garlands will hang on the ends of the pews. Great job! What a novel idea! I never would have thought of that and it is lovely! Thank you so much for sharing! I really like this idea - I'll be doing it this weekend, I think! And, I just pinned YOURS on Pinterest. I have pinecones, bells and tons of burlap in my craft room right now! 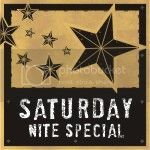 I am totally whipping one of these up:)Thanks so much for linking up to my first link party and helping to make it such a big success! I loved how it turned out! What a great idea. Thanks for sharing it! This is so pretty! So simple... it could stay up all winter! In fact, I'm pinning this so that I can make it in January! I'm a new follower! I hope you'll follow me back! Thank you so much, I'd love to!! Your ornament wreath is so colorful and fun!! 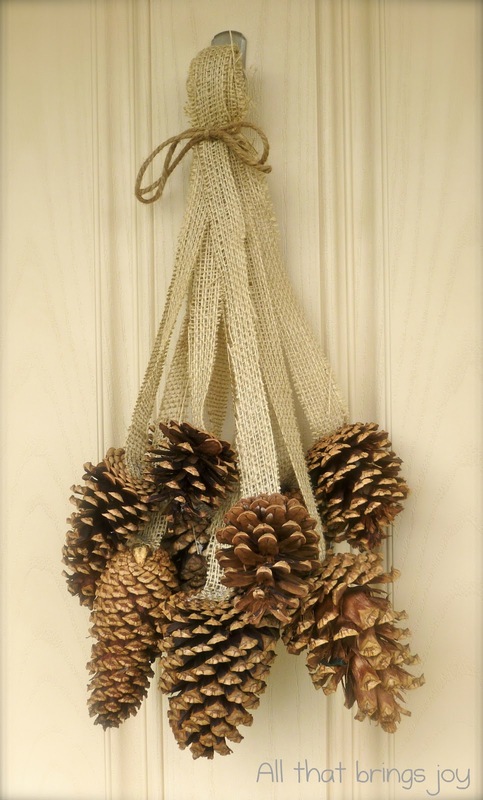 Love the rustic burlap with the natural pine cones! 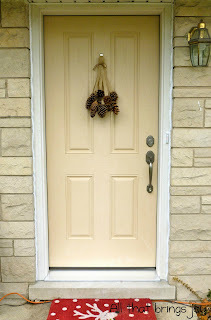 Amazing how these simple elements can bring such pretty elegance to your door! Nice job! Thanks for sharing!